Speed Up Google Chrome Browser – How To? 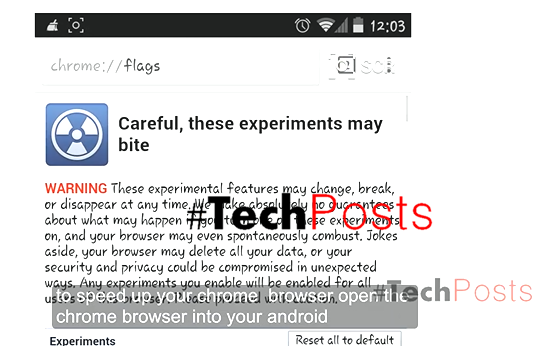 Here is a quicktip to speed up your Android Chrome browser. Using this tip will significantly improve your scrolling experience and it will reduce frame rate drops. 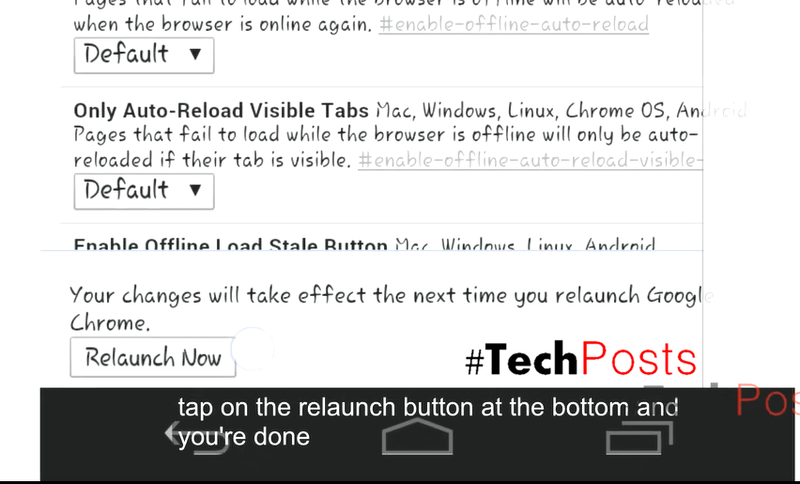 Open the Chrome browser app on your Android. Then, Go to the address bar. Type Chrome://Flags, in address bar and then press Enter. You will be redirected to the Chrome://Flags settings page. 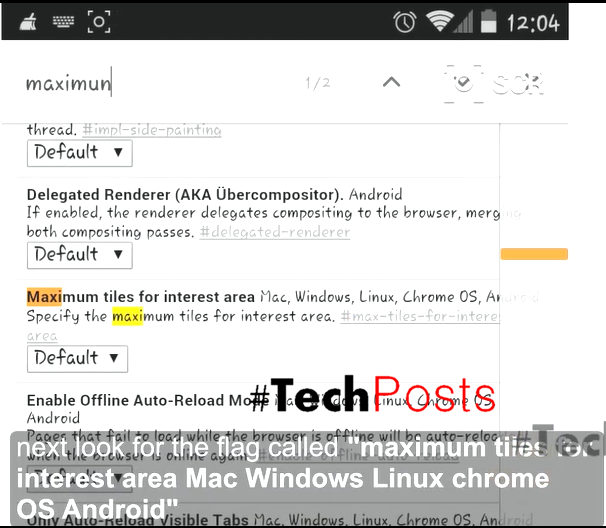 Next, look for the flag called “Maximum tiles for interest area Mac, Windows, Linux, Chrome OS, Android”. Tap on default and choose 512 from the drop-down. If your device has less than 512 RAM, its best that you choose anything below that figure to prevent Chrome from taking over all of your device’s memory. Tap on the relaunch button at the bottom and you’re done. 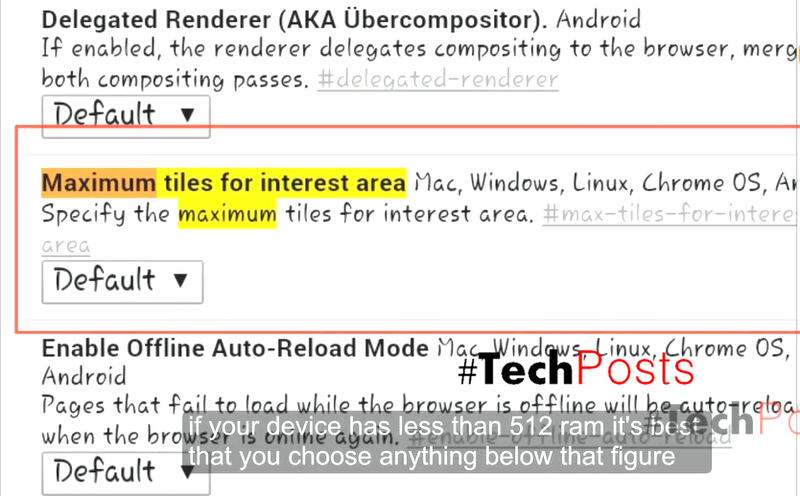 Well, in case If you want to go back to the default settings, head back to the Chrome://flags page and “Maximum tiles for interest area Mac, Windows, Linux, Chrome OS, Android” then choose default. 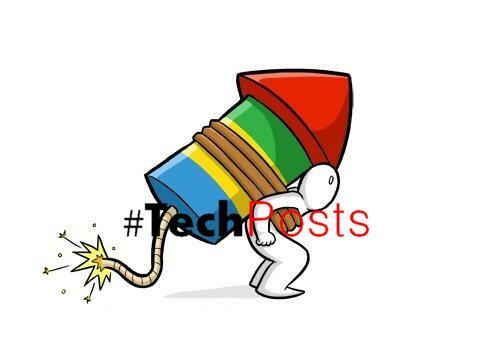 Relaunch your Chrome browser for the effect to take place.